I just got back in Prague earlier today after a business trip to Budapest, Hungary. I’m in love with Budapest itself, and the road trip getting there was great, too! From Prague to Budapest is about a 5 hour drive – across the Czech Republic, through Slovakia, and into Hungary. 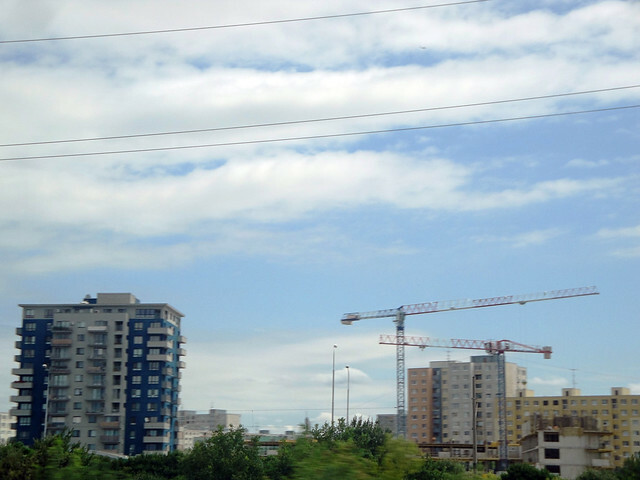 From the road along the way, we could see large clusters of old Soviet-constructed buildings around the outskirts of cities. 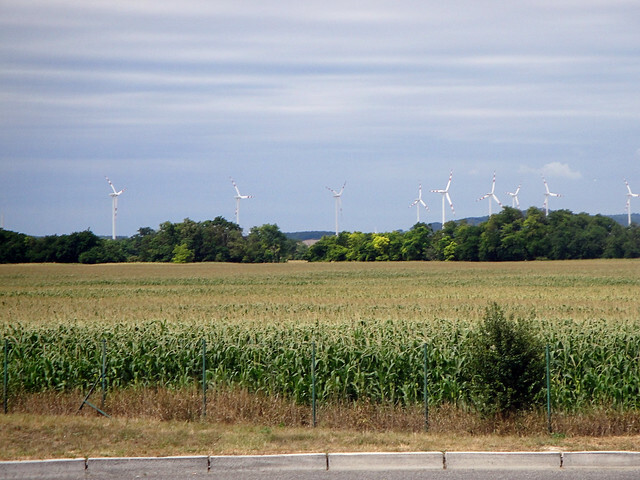 These are outside Brno, Czech Republic…. The Soviets’ theory was to build uniform apartment buildings so everyone would be equal, but today it’s an odd feeling to pass so many identical buildings. 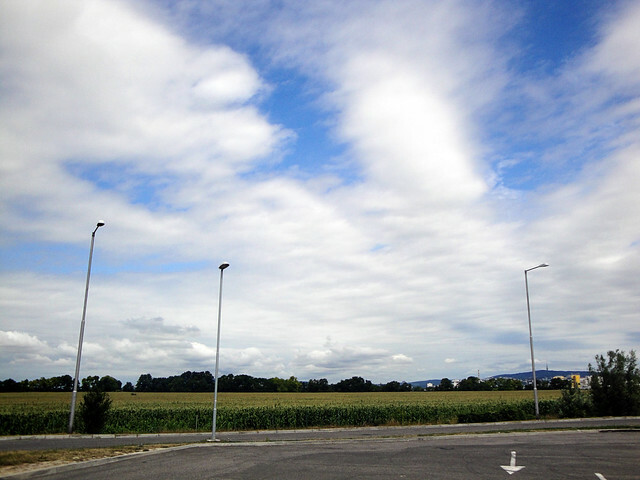 We stopped to refuel in Slovakia, in the midst of vast cornfields…. At one point, we could see Austria and it’s windmills in the distance…. 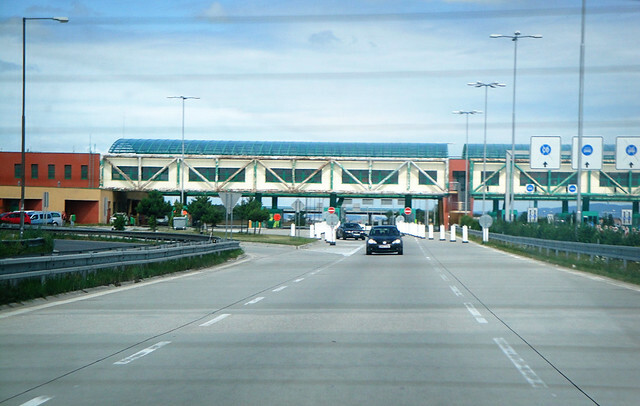 Coming into Hungary, we passed through an old, mostly untended border checkpoint. Because of the open border policies of the Schengen Agreement, this disused border station is falling into disrepair.